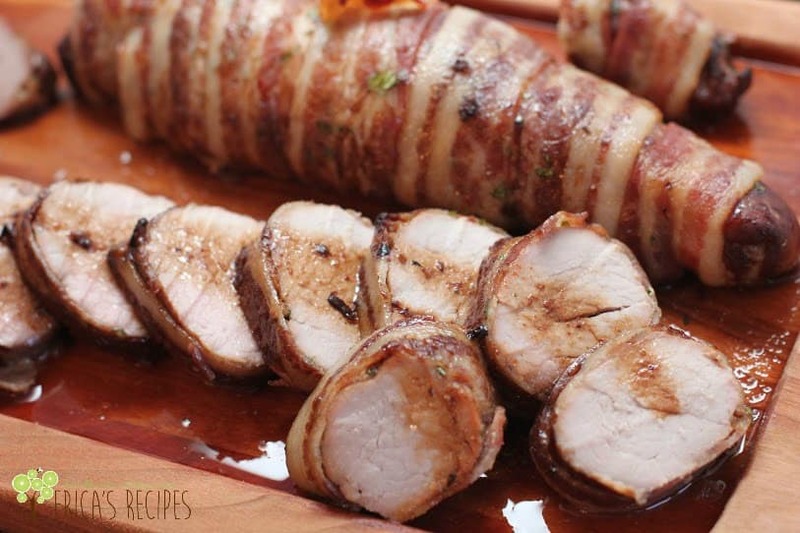 I have been making pork tenderloin like this for probably 15 years or so, and I always love it. And I always make it on a weeknight. Salty, savory, healthy (other than a little bacon) – and super easy! Leftovers taste great too since tenderloin is so forgiving and doesn’t get tough like pork loin does. I love it every time I make it and it makes my house smell amazing! Check out the teeny onions from my garden! The night before you plan on cooking this, marinate the pork. Mix the soy sauce, wine, onion, garlic, red pepper, parsley, and honey, in a ziploc bag. Add the pork and marinate overnight in the fridge. Put the pork in shallow baking dish and wrap in bacon. Bake at 350 for 30-35 minutes until thermometer reads 150F internal temperature. Transfer the pork to a cutting board and rest 5 minutes. While pork is resting, take a whisk and scrape up the browned bits and mix the juices to make a little sauce. Serve over the sliced pork. Hi! Did you cut a large tenderloin in half for this? Thanks! Thanks! About to put the marinade together now! I will let you know how the family likes it tomorrow night! So it is my first tenerloin and although it looked like one big one, when I opened the package it WA two smaller ones! Turned out yummy and will become a weeday staple for the family…thanks for sharing! Great recipe, I look froward to trying this one. Looks and sounds delicious and easy! Love the bacon wrapping. Stopping by Simple Supper Tuesday to follow. Wow, this looks absolutely wonderful. 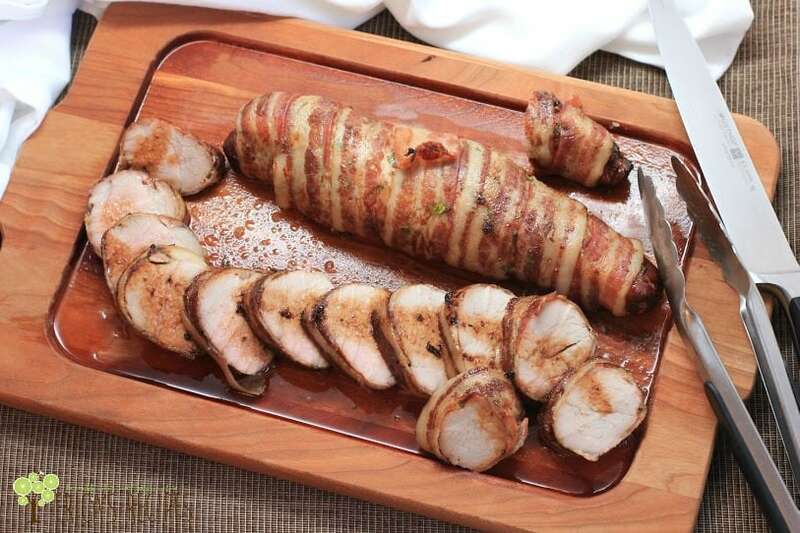 Everything tastes better wrapped in bacon, but I bet that marinade makes the tenderloin so flavourful and tender. Thanks for sharing at Simple Supper Tuesday. Wrapping it in bacon must make it extremely moist and flavorful. Tenderloins are a great cut of pork, but I haven’t made one in forever. I will try your recipe next time. With bacon, how could I go wrong? Pinned and stumbled.